What Are Some Ways I Can Reduce Stress? - Welcome to SarahKesseli.com! What Are Some Ways I Can Reduce Stress? How many of us experience stress over the course of a day, week, month or year? At some point we all experience it to some degree. 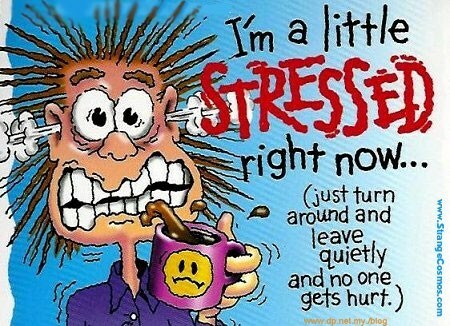 How we manage that stress is the determining factor as to the impact that it has on our health. If we do not find ways to reduce or remove the stress, it will wreak havoc on our mind and body. So how can we reduce stress? Each of us will find that a different method works best for us. Some may read, others take a yoga class or meditate. Others might find that something more aggressive such as a boxing class helps. There are thousands of ways we can reduce and remove stress. How can we figure out what works best for each of us? When I work with my clients to figure out different activities we first take a look at where the stress is coming from. Do you experience it at work, home, school? What have you tried in the past? How long has the stress been going on? Once we have these things figured out, it is time to start creating the ‘ingredients list’ or activities that will result in your recipe to a healthy life. Armed with the right tools, you will be able to stare stress in the face and knock it out! Can you already sense how much healthier would you feel without stress in your life? It’s time to start creating that list! *What causes you stress in your life? *How do you reduce it?